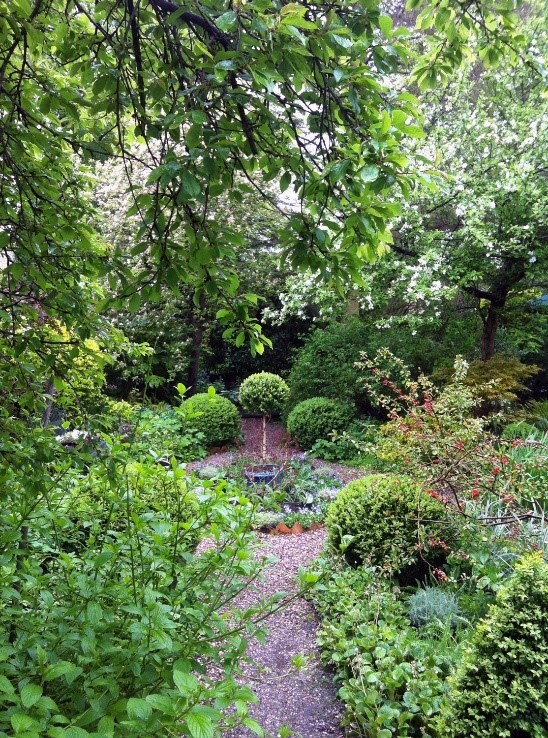 We visited Peter and Sarah’s garden in Didsbury, Greater Manchester. A secluded part woodland garden with winding paths from ponds and waterfalls to pergola, summer house and ferneries. 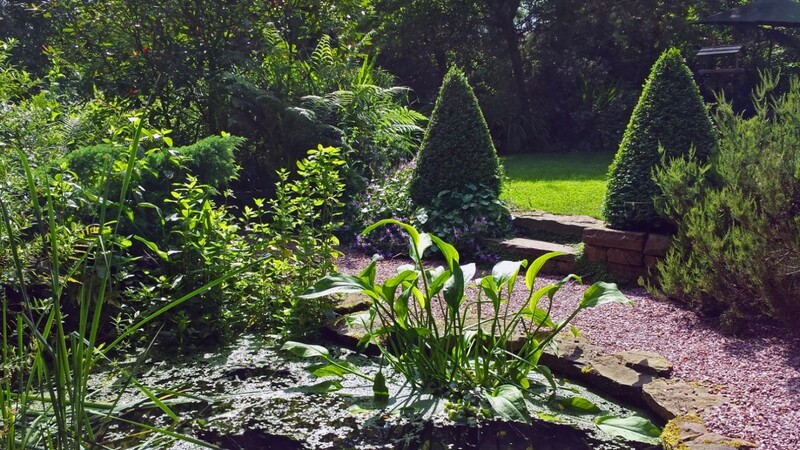 A garden that provided true sanctuary and healing for its owners, Peter and Sarah. The garden was flat and full of trees when they moved in, but Peter re-sculpted the garden and made the best of these magnificent specimens to turn the space into a magical garden. Peter said it was essential to dig out different levels to give the garden variety and separate spaces. He also took out trees but made features and seating areas of the ones that he kept. He has a circular bench around a tree, which makes a beautiful focal point. Peter has a great love for wildlife, he feeds his squirrels and birds every day – including 40 different species of birds that have been known to frequent his garden.